The upper limits on fiber capacity haven't been reached just yet. 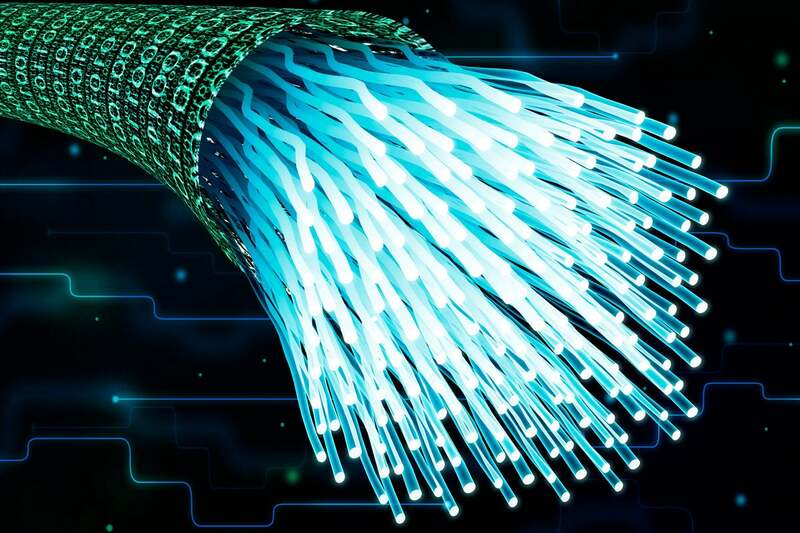 Two announcements made around an optical-fiber conference and trade show in San Diego recently indicate continued progress in squeezing more data into fiber. Infinera researchers claim, though, that using, for the first time on a cable like this, an own-built variant of high-speed laser modulation, called PM-16QAM, it has squeezed 26.2 terabits through a pair over the length of the cable. That’s a 20% gain over the design specification. “The method could increase network capacity without requiring new cables, which can cost hundreds of millions of dollars to build,” Infinera says. More than half of the world’s population is now online, and that number is still dramatically growing in some regions such as Africa. There’s been a tenfold increase in 13 years there, according to the UN’s ITU. Data centers, too, are requiring increasing bandwidth. Microsoft and Facebook are MAREA owners. Any capacity gain now in fiber is good, explains Dr. Pierre Mertz, one of the engineers. That’s because fiber capacity (data per second) might be reaching its limits. “In simple terms, if you try to push the limits of fiber capacity, you will reduce the reach,” he says. That’s because noise contamination, and consequently efficiency, deteriorates the longer the pipe. It’s an effect called Shannon’s Limit (Wikipedia), named after the scientist who discovered the scattering communications theorem in 1948. In the second San Diego announcement, a faster system is being introduced. “WaveLogic 5 solutions will begin to become available in the second half of 2019,” says Ciena in a press release announcing an 800-gigabit fiber solution geared, in part, toward data center connects that can now be using 100 or 200 gigabits or less. It uses the latest coherent optical transmission — an attempt to ramp up fiber for more capacity. Coherent optics translate traditional digital signals in fiber through modulation. “It takes the typical ones and zeroes in a digital signal — the blinking on and off of the light in the fiber — and uses sophisticated technology to modulate the amplitude and phase of that light, and send the signal across each of two polarizations,” explains Ciena on its website. That encodes more data into the light waves. The race is on to try beat Shannon’s noise law. I wrote recently about an attempt to use even the noise itself to carry information. And last year I wrote about experiments elaborately twisting light in cables in order to carry more information. “Network capacities are increasing by 25% to 50% every year, and systems running at 10 gigabits per second just cannot keep up with this kind of rapid scalability,” Ciena says. “Every gain we make becomes harder and harder,” Mertz, of Infinera, said.